All the news from this month! I LOVED reading to @SuzyQKlagz’s class via @Flipgrid so much that I created my own account! 🤳Craft your perfect selfie by searching our brand new set of stickers, now including emoji! 🗺The #GridPals map has been supercharged to help you find your classroom's next great adventure. Tune in to #FlipgridLIVE for our next MAJOR update! 📱It's now easier than ever to share Flipgrid Responses on Remind! 👨‍👧‍👦Encourage families to stay current on classroom activities by Following a MixTape. They'll receive a notice whenever you add videos! Welcome to the Flipgrid Newsletter! Bookmark this page, come back often, and let us know what you’d like to see featured next month! Looking for last month's news? Check out the January issue over here! A couple weeks ago we had the opportunity to meet 1000s of amazing educators and school leaders across the pond at BETT in London. Then we flew to Florida to soak up some sun with our friends at FETC in Orlando. Now we're at TCEA in San Antonio and - y’all - the innovation down here is mighty impressive! From Bus Tours to conferences to #StudentVoice celebrations, we LOVE spending time with our Flipgrid family! 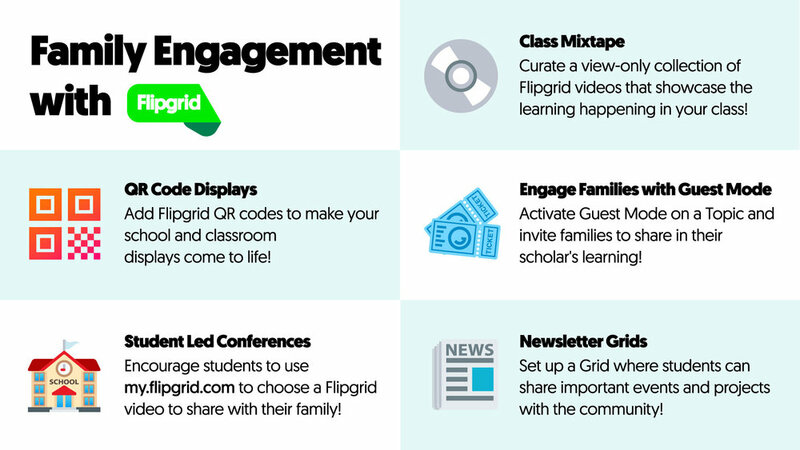 Keep reading to learn about MyFlipgrid, five ways to engage families with Flipgrid, our next Flipgrid Feature, and more! 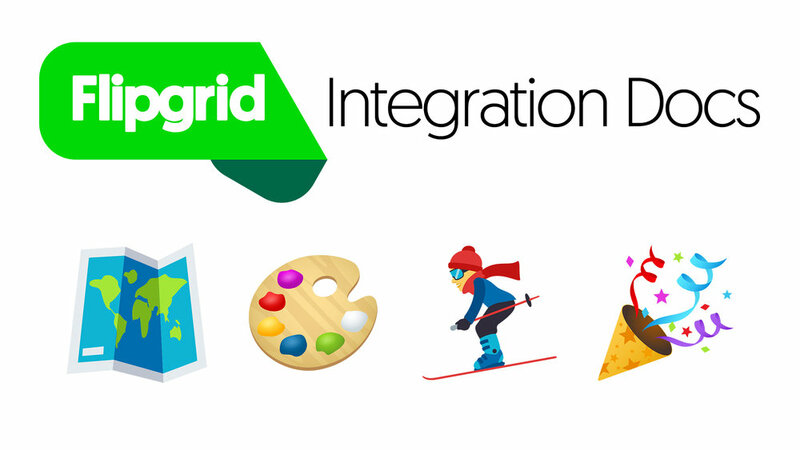 Now your students can view, manage, and share their Flipgrid videos, return to their Grids, view their Moderated videos, and review educator Feedback, all in one place! Learning loves community, so let’s use Flipgrid to invite families and other stakeholders into the classroom as we engage our learners and celebrate success! With just one tweet, you packed the house with over 300 registrations! But have no fear, GridPalGeorge is on the lookout for a bigger venue to hold all the collaboration, celebration, and innovation that’s in store for #FlipgridLIVE at #ISTE19! Join your #FlipgridFever friends in Philadelphia! 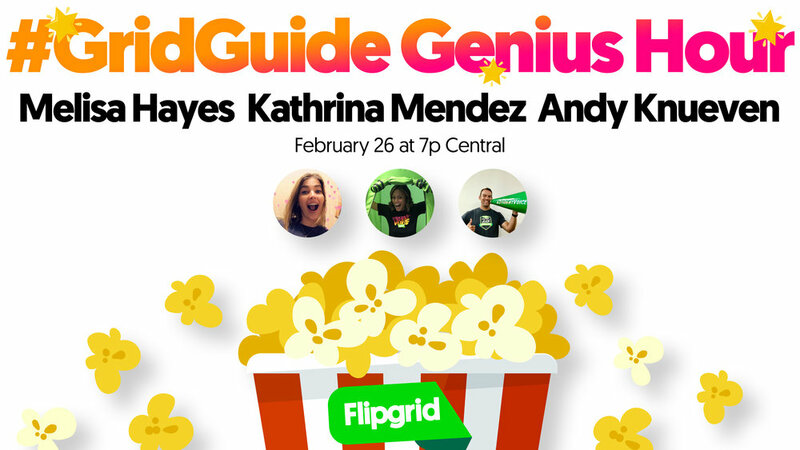 Join an ingenious trio - Melisa, Kathrina, and Andy - for our February Flipgrid Feature: #GridGuide Genius Hour! The three will share a collection of creative ideas for engaging and amplifying your scholars! Check out our library of integration docs to explore specific, launch-ready ideas for amplifying #StudentVoice! Music & Arts, World Languages, Health/Physical Education and more! My students posted a TON of video questions to our class @Flipgrid before I left for Antarctica. While there, the good folks at @NatGeo and @LindbladExp took time to respond to each and every one of my students' questions. We’re hitting the road and embarking on our next #StudentVoice odyssey… this time with the gnarly, innovative, California area educators! Join us on the #SOLIDGOLDenState #FlipgridBusTour! Welcome to the Flipgrid Newsletter! Bookmark this page, come back often, and let us know what you’d like to see featured next month! Looking for last month's news? 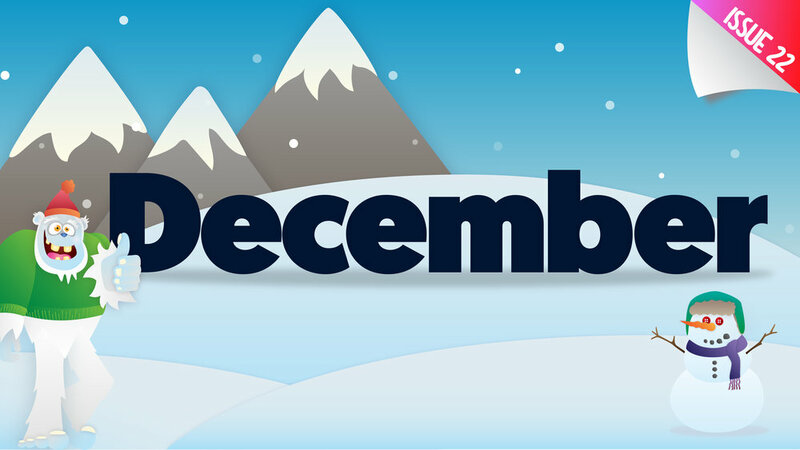 Check out the December issue over here! 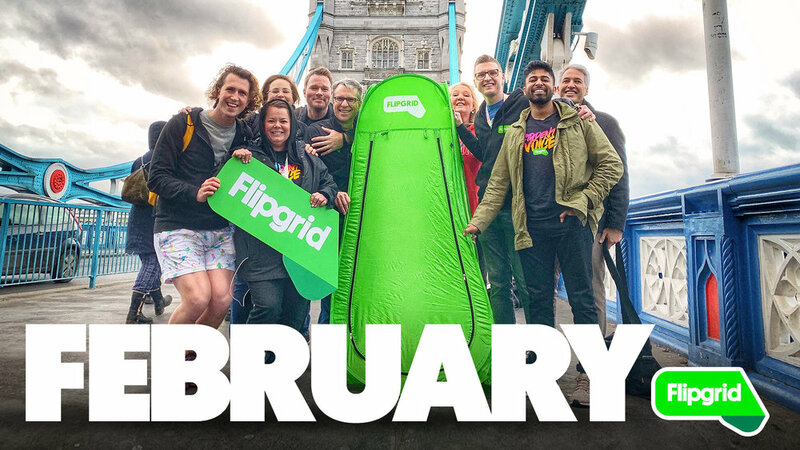 Our New Year’s resolution for the 2019 Flipgrid Newsletter is brevity. 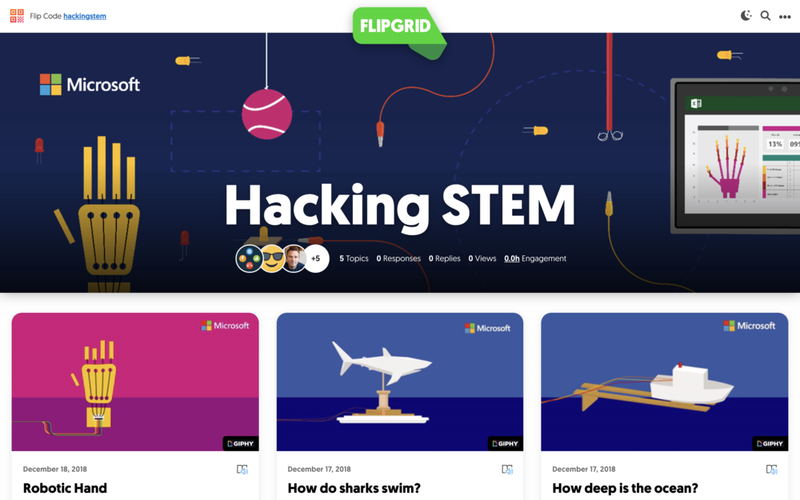 Read on to explore our new Integration Docs, hear from Flipgrid Founder Dr. Charlie Miller, launch an amazing collection of free STEM activities, and more! 🌕 Tap the moon in the upper right-hand corner of a Grid or Topic to turn on Night Mode! 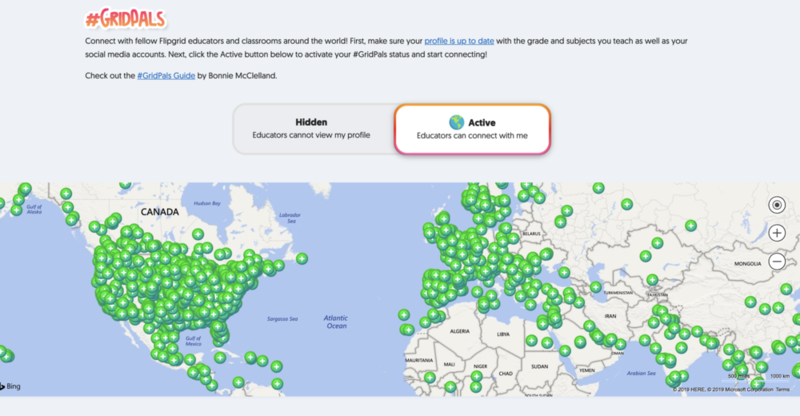 ✈️ Nicole Rude wanted an easy way to create course template Grids that her educator colleagues could duplicate to their Flipgrid accounts. CoPilots can now Duplicate Grids! 🎧 Families and guests can now Follow your MixTapes to receive an update (daily or weekly) when you add new videos! 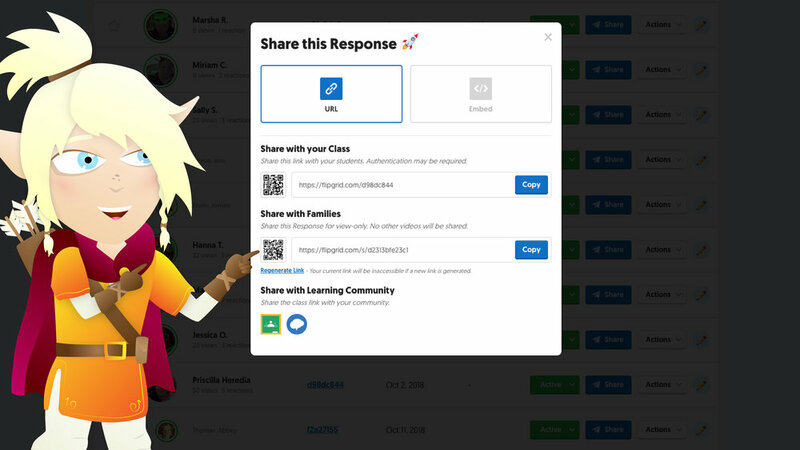 🌊 Jen Saarinen wanted to embed Flipgrid Responses into a Wakelet canvas. Now it’s as easy as copy/pasting the Family Share Link! 🔮 When you share the magic of #StudentVoice on Twitter, the video’s selfie and name is now displayed! Microsoft’s Hacking STEM Activity Library is filled with FREE downloadable, teacher-tested projects and activities that use everyday materials to make STEM affordable, accessible, and fun for everyone. Welcome to the Flipgrid Newsletter! This page (blog.flipgrid.com/newsletter) is your source for all the latest Flipgrid updates and community opportunities. Bookmark this page, come back often, and let us know what you’d like to see featured! Looking for last month's news? 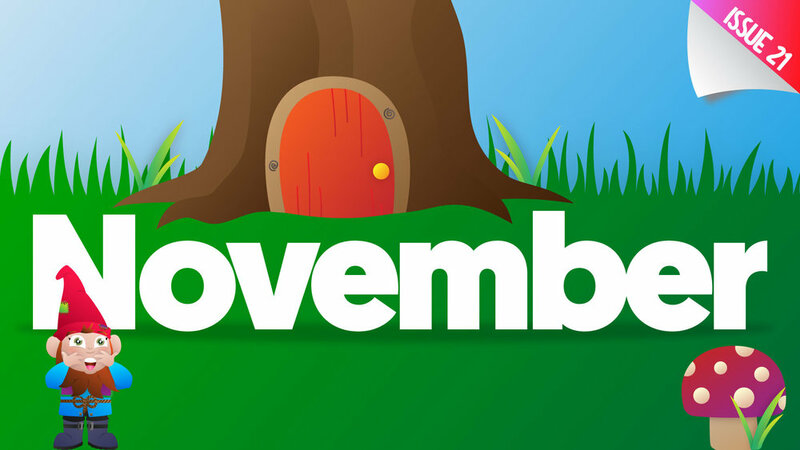 Check out the November issue over here! Thank you for a truly incredible year. Working alongside the Flipgrid educator community is a dream come true! 2018 was an especially magical year for #FlipgridFever as we joined forces with Microsoft and made Flipgrid completely free for every educator on the planet! We're excited for even more crazy ideas, adventures, and thrills in 2019! In this year's final edition of the newsletter you'll learn about our new Educator Innovation Station, Flipgrid ideas to engage your students during break, fun #CSEdWeek activities, and more! Join us on an interplanetary exploration: the new Educator Innovation Station is equipped with tons of valuable resources as you traverse the galaxy of #StudentVoice. Voice Captains Jornea, Jess, and Ann are at the ready with ideas, advice, and their brand new Elementary Integration Documents. Begin your interstellar mission to amplify! 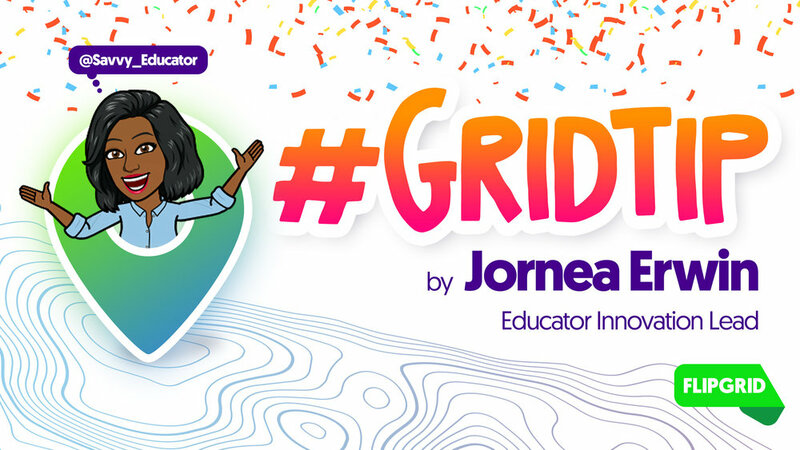 Whether you’re heading into summer, winter, or a weekend break, the Savvy Educator Jornea Erwin has a collection of fun ideas to engage your students over break and showcase a semester of amazing student voices in a magical mix! Continue amplifying and celebrating #StudentVoice over break! We’re rolling out the red carpet and showcasing a collection of mic-drop "Shorts" created by your friends in the #FlipgridFever community! Join Team Flipgrid on December 18th at 7 PM CT as we go LIVE on Facebook from Flipgrid Studios and share the mini feature “Shorts” packed with enlightening ways to amplify #StudentVoice. Reserve your seat at the festival! 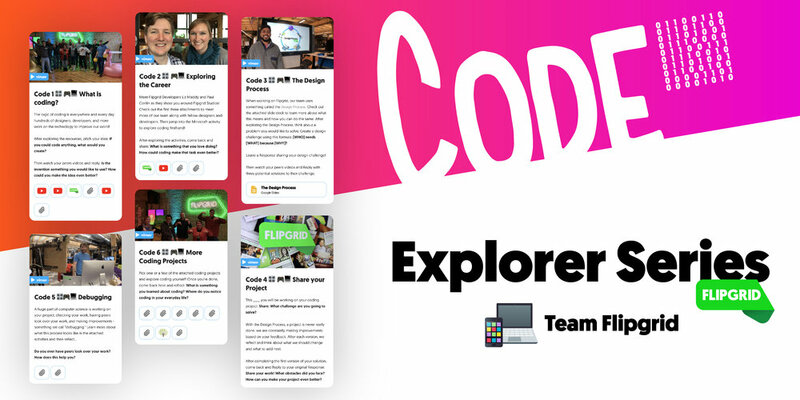 Introduce your students to the world of code with our latest Explorer Series! In honor of #CSEdWeek and #HourOfCode, The Flipgrid Team shares a behind-the-scenes look at Flipgrid Studios and a collection of activities for your students to explore the career of coding (with help from the exquisite Karly Moura). Explore Flipgrid Studies, Code with Minecraft, and more! Speaking of Mic-Drops, did you see these Tweets? We love seeing the amazing ways you’re empowering #StudentVoice. Here are a few ideas that went viral in the #FlipgridFever community last month! I’ve been reflecting 🤔 and collaborating with 👨🏼‍🏫 teachers regarding the power of effective direct teaching of peer feedback. Calling all Flipgrid Student Voice Ambassadors + MIE Experts: we’re awarding five lucky superstar educators a free trip to Paris for the upcoming Education Exchange. Join us for an epic collaboration with your peers from around the globe and bring a world of inspiration back to your students! Stamp your passport and enter the contest! Thank you again! We are so grateful to work with you and we are so inspired by the innovative ways you’re empowering and amplifying your students. Please continue sharing your amazing ideas, feedback, and questions with us on Twitter and via email - we love chatting! For last month’s newsletter, check out our updates from October. Thanks for stopping by! Last month the Flipgrid educator community grew by 80,000 thanks to you. Thank you for championing the importance of #StudentVoice and thank you for sharing all your epic Flipgrid ideas with your peers! If you are among the 80,000 new educators that joined Flipgrid in October, welcome! You are now part of an incredible, inspiring, and supportive community, here to help as you empower and amplify your learners. If you haven’t already, meet some new friends by checking out #FlipgridFever on Twitter, find launch-ready discussion prompts in the Disco Library, and download Karly and Sean’s incredible Educator’s Guide to Flipgrid! Keep reading to learn about Skype-A-Thon, Guest Mode, the Immersive Reader, seven community-driven updates to Flipgrid, and more! Team Flipgrid is thrilled to join the 48-hour global event and meet with you and your students! Learn more about how you can leverage the dual power of Skype and Flipgrid and sign up to chat with us during Skype-a-Thon at the link below! Families and friends and experts, oh my! 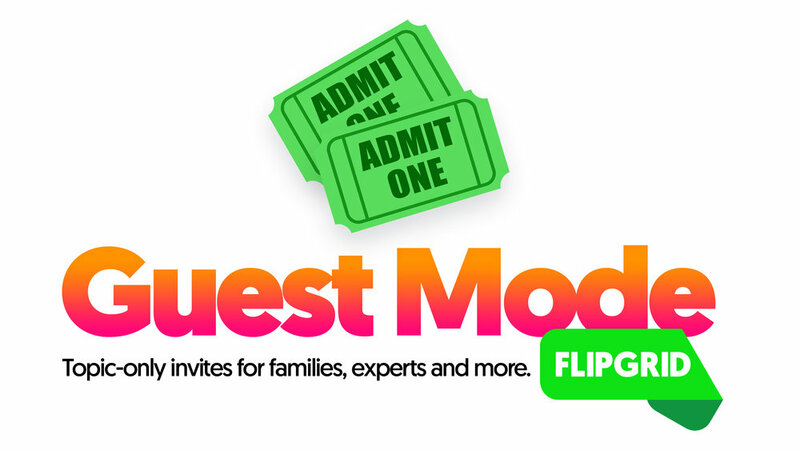 Guest Mode allows you to introduce a community of inspiration to your students by inviting guests into your Flipgrid Topics. In addition to explaining how to get started, InterACTIVE educators Kristin and Joe Merrill have crafted ideas on how you can expand learning beyond the walls of your classroom with Family Homework, School-Wide Challenges, and more. Every update we make to Flipgrid is sparked from ideas shared by the amazing and innovative educators in the #FlipgridFever community. 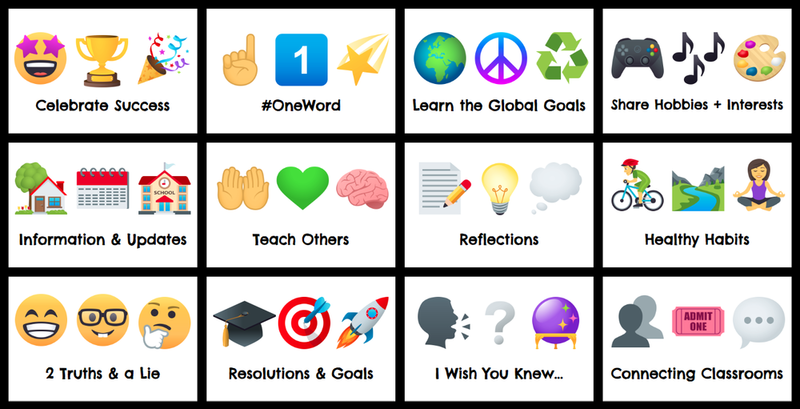 Check out the seven latest Flipgrid updates you inspired! The innovative and inspiring Gen-Z whisperer, Holly Clark, is spilling the beans and sharing her wealth of wisdom on how we can understand and meet the learning needs of our students! Join us for this energizing Flipgrid Feature followed by Scott, Kristin, and Joe’s world-renowned #FlipgridFever Chat. In addition to giving every student an equally amplified voice, Flipgrid now provides equitable access to your amazing discussion prompts with Microsoft Learning Tools’ powerful Immersive Reader. You may have noticed the small book and speaker icon in your Topics; students can simply click to explore the text, have the prompt read aloud, and more! ⬆️ Students can upload previously recorded or edited video to Flipgrid—they just need to know where to find the Import Video button. Thank you again! We are so grateful to support you and we are so inspired by the innovative ways you empower and amplify your learners. Please continue sharing your amazing ideas, feedback, and questions with us on Twitter and via email - we love to hear from you!